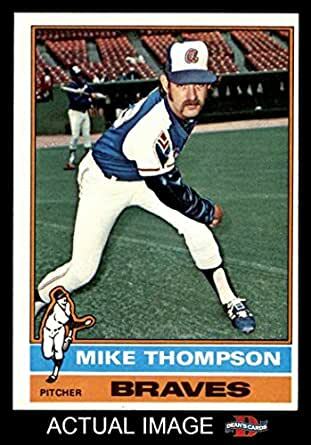 The Reds trade utility player Terry Crowley (April 7, 1976) to the Braves in exchange for Mike Thompson, who will never throw another pitch in the major leagues. For the Braves in 1975, he made 16 big league appearances, starting 10 of those games. He went 0-6 with a 4.70 ERA, and played his final big league game on September 5, 1975. He played for the Indianapolis Indians in the Reds organization that year, going 5-7 with a 3.97 ERA in 21 games with them. On November 8, he was traded to the Texas Rangers for minor leaguer Art DeFilippis. Thompson retired after 1976, however. Crowley, who will be released by Atlanta after appearing in just seven games, will return to the Orioles, the team that drafted him, playing seven more seasons in Baltimore as a DH/1B, before finishing his career with Montreal.